To bring about behavioural change in the community through religious preaching. To sensitise the priests and make them aware about their role in combating trafficking. To develop and strengthen the forum that looks after issues on human trafficking. To develop strategies in coordination with priests from all religious beliefs as well as people to combat trafficking. The initial advocacy programme made the religious leaders proactive towards the prevention of human trafficking. 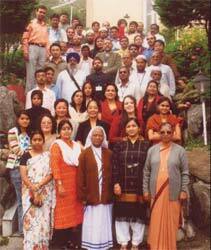 The formation of inter -religious priest’s forum was the outcome of their activities in this direction. The forum discussed the trafficking issue among priests from Islam, Hinduism, Buddhism and Christianity and took inspiration from speeches delivered by religious leaders like Vivekanada, Mother Teresa, Dalai Lama among others. The forum succeeded in making interventions in several areas in the community. One of the glaring examples is that of Nawazish Ali, who started talking of anti-trafficking issues before he started mosque prayers on fridays at Kishanganj, Bihar. After initial sensitisation programme, other moulanas of that area followed his example. He stated that he has not allowed any child marriages to take place in Kishanganj; moreover he has also been persuading people to take back trafficked children after rescue. He has asked people of the community to be vigilant of fake marriages taking place around their communities and be aware of people who are taking girls away in the name of providing them with work. He has been influencing other moulanas to use this platform to prevent trafficking in their area. The success of the forum is appreciated through out the country for such efforts taken by religious leaders in small towns and districts where human trafficking is rampant. The forum network is planning to replicate the model in other countries and states as well.